Adventures of past, fused with expert professional guiding for an experience of a lifetime. 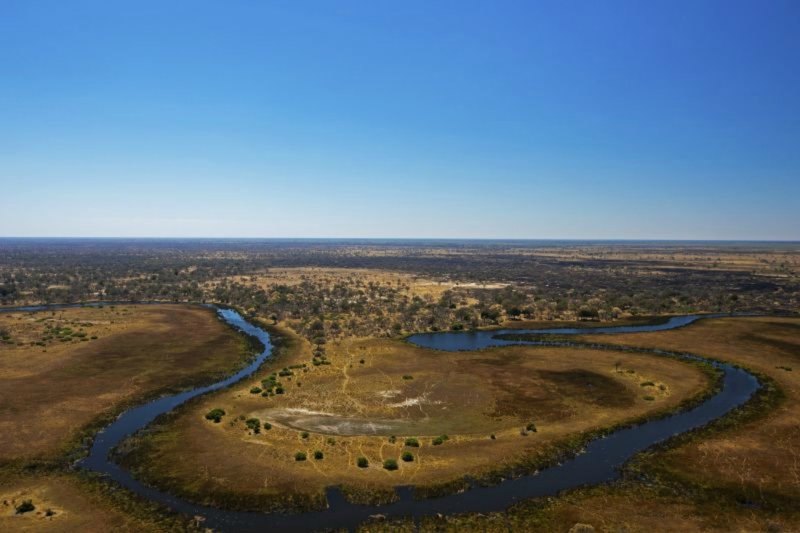 The Selinda Adventure Trail replicates the safari experiences of old as you chart a course along the Selinda Spillway and into the remote woodlands of the vast 320,000 acre Selinda Reserve. Your guide’s intimate knowledge of the bush curates a memorable physical, spiritual and cultural journey through the wilderness. 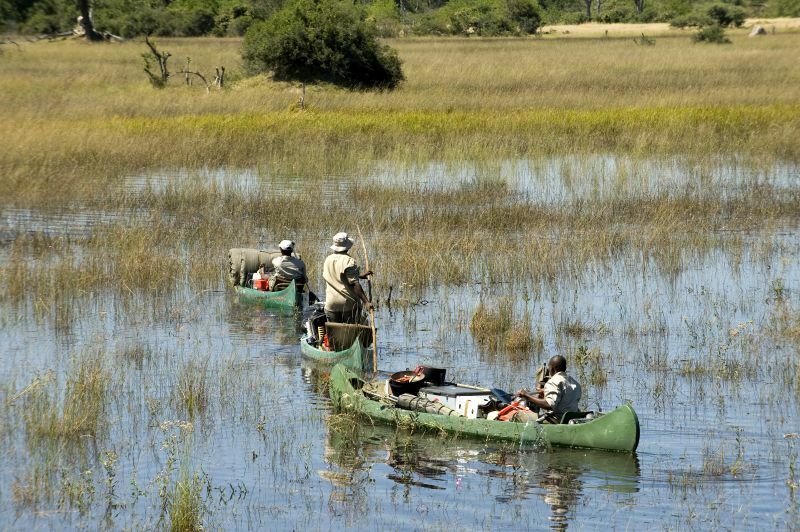 The distance of the Selinda Adventure Trail differs depending on whether it is a walking or canoeing adventure. Walking distance is just over a total of 20 kilometers over the 4 days and canoeing is approximately 40 kilometers over the 4 days. Along either route you can expect to come across several diverse species of wildlife that inhabit the Selinda Reserve. 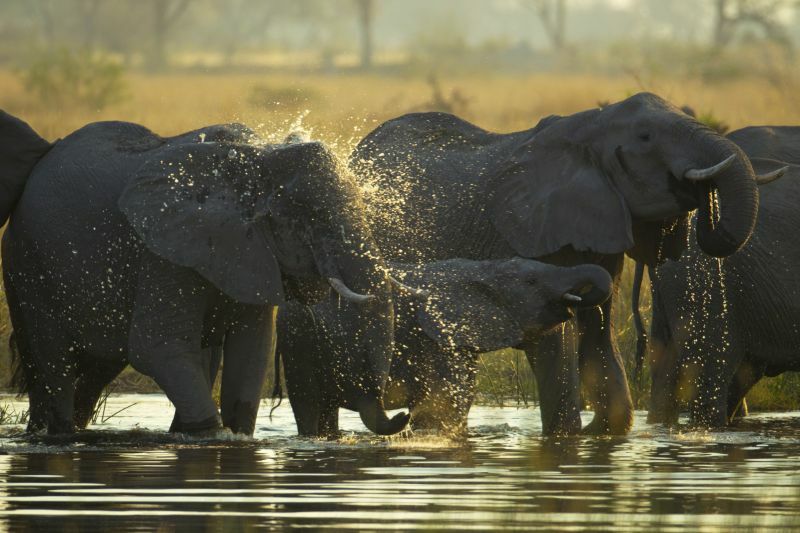 The area is well known for some of Botswana’s largest herds of buffalo, elephant, roan antelope and African wild dog. 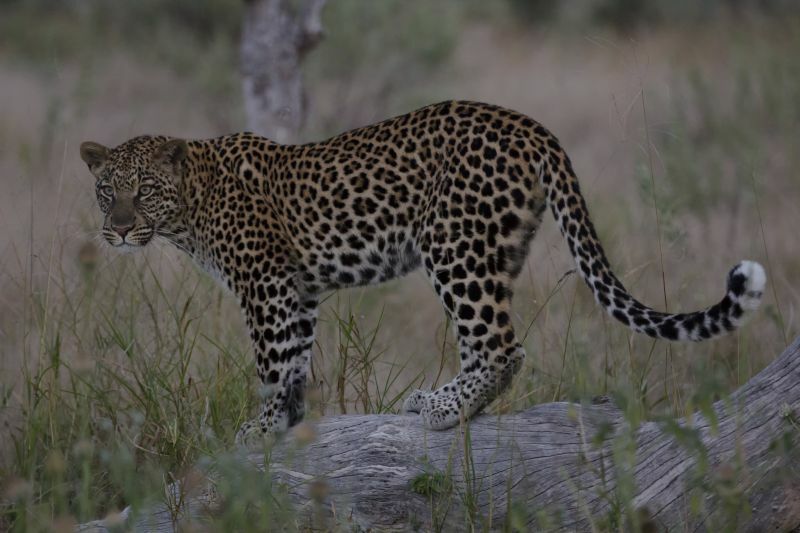 Other possible sightings include cheetah, lion, leopard and a wide variety of other species. It is also a birder’s paradise with over 300 species possibly seen. The best time of year for canoeing is generally mid-June to end of August but water levels vary annually. 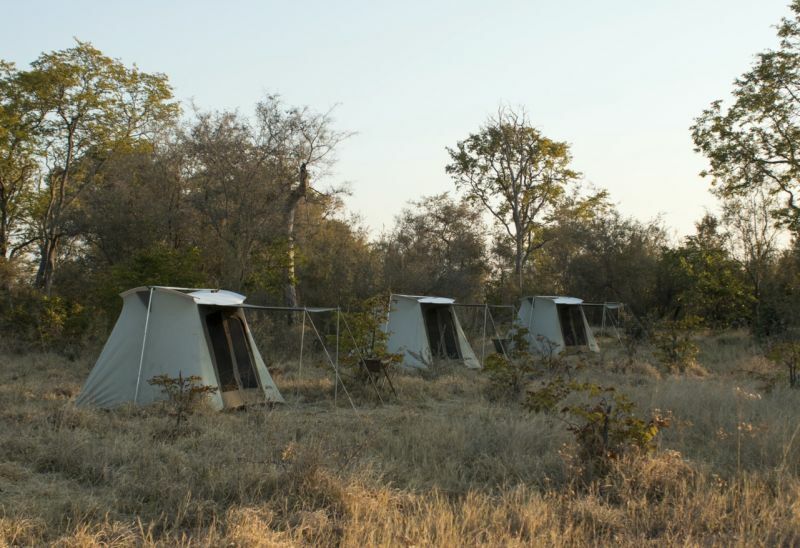 All nights are spent in fly camps along the Selinda Spillway at pre-arranged sites. The days are spent paddling or walking along the Spillway and into the woodlands of the reserve, depending on which option is available at that time, with regular stops whenever there is something of interest to be seen along the way. When canoeing, each canoe has two guests as well as their bed-rolls and soft bags. Participants paddle their own canoes each day. No previous paddling, canoeing or walking safari experience is needed as tuition and safety briefings are given – but participants must be fit enough to paddle their own canoes and be prepared to walk between camps when water levels are not sufficiently high on the Selinda Spillway. 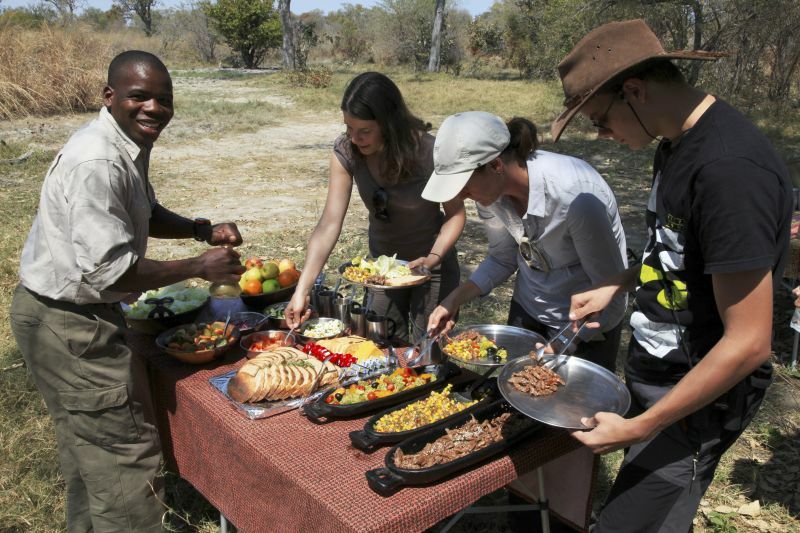 Guests are not expected to put up their tents or help with the cooking and camp chores as staff are always on hand to ensure your meals are spent relaxing. Walk-in canvas Kodiak tents are provided as they are comfortable and large enough for two people. Separate screened bucket showers with hot and cold water are also supplied. When walking each guest will be supplied with a day backpack, which will include water and snacks. 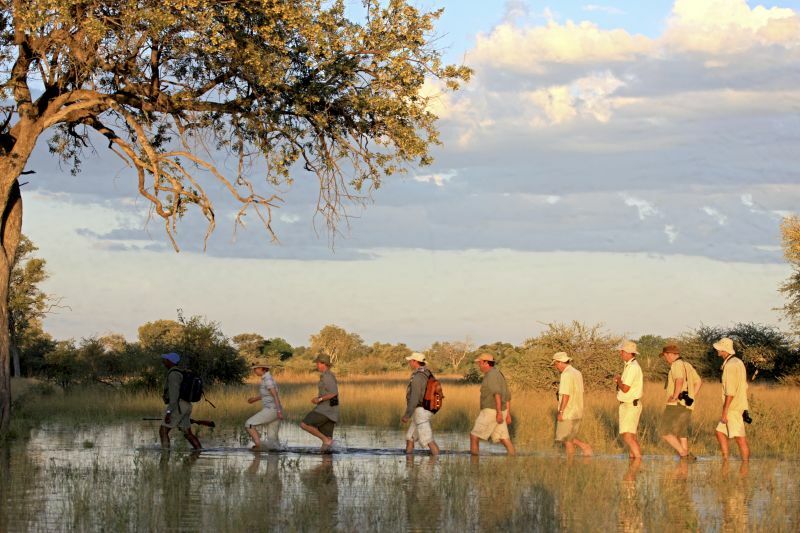 An armed, qualified walking guide as well as an experienced tracker will be with you at all times as you explore the banks of the Spillway as well as the more remote areas of the Selinda Reserve. Walking is an integral component of the adventure and allows for access to new islands and lagoons. Even when you are on a canoe safari, each day includes walking experiences to investigate areas of regular predator activity or wildlife sightings. In addition if there happens to be wildlife activity that warrants investigation whilst canoeing, you stop on the banks and take a short walk into the bush. Brunch is taken around mid-morning and light snacks are available throughout the day for sustenance until dinner. At night, the deep silence is punctuated by nocturnal sounds, from croaking frogs to roaring lion or the hyena’s whooping call. Beautiful food in the middle of nowhere… served with a smile! 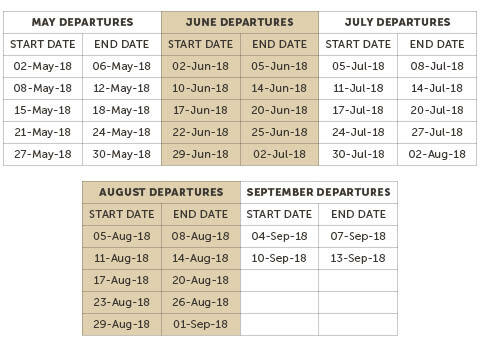 On the last morning of the Selinda Adventure Trail, after a short morning walk or canoe, you end with a relaxed game drive from your final camp to the Selinda Airstrip for your onward departure. 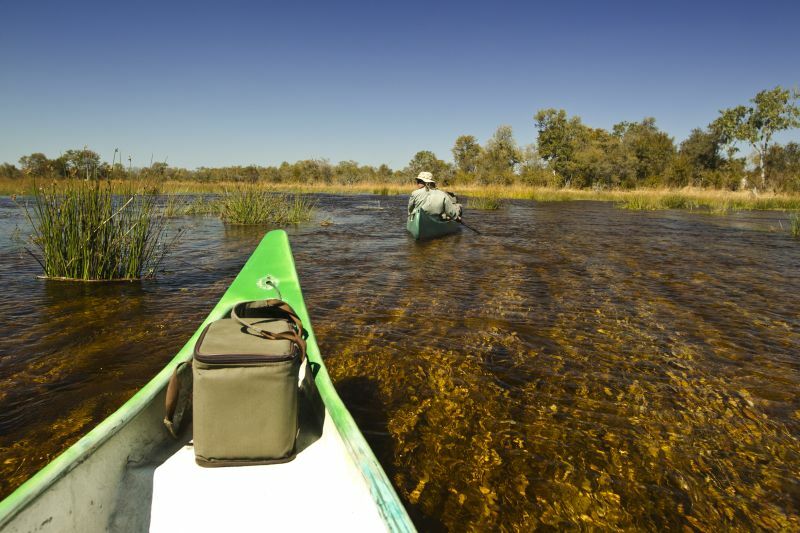 * The experience either entails a traditional canoe and walking safari following the route, whilst exploring side channels of the Selinda Spillway (subject to high-enough water levels); or a pure guided walking safari following a similar route (should the Spillway be dry or too shallow to canoe). Fully inclusive of all meals, all related activities, a reasonable amount of soft drinks, wine and beer at meal times and Selinda Reserve fees.  Responsible Tourism Conservation: In keeping with Captured In Africa’s responsible tourism ethos, this safari combines tourism with conservation, habitat protection and local people to ensure protection and benefits are seen locally. A $60 per person conservation contribution added to each booking goes directly to these efforts from our friends at Great Plains Conservation. Here's a SNEAK PEAK at the brand new (artistic impression) of Namiri Plains opening later in 2019... situated in the Eastern Serengeti in one of Africa's best safari areas.